When the school began in 1788, girls had to be six before they could apply and no older than 10 when accepted. So the earliest pupils were primary school age – at least when they started. 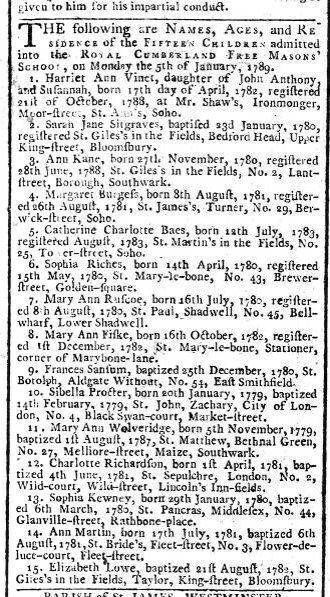 The newspaper notices giving details of the first pupils in 1788. They were at school until they were 15 which, at the time, was not the ‘norm’. If girls received any education at all – and many did not – it was generally until they were about 12. School log books are peppered with comments relating to girls leaving school: ‘Wanted at home’ was a common phrase. By the age of 11 or 12, girls were deemed perfectly capable of helping run the household, especially if Mother was still producing babies. By insisting that girls should be educated to the age of fifteen, the School was bucking the trend. 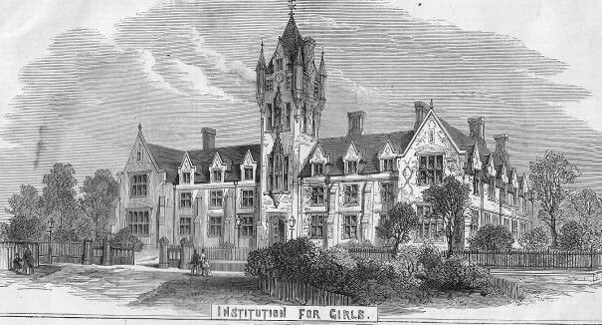 En masse, the younger girls were described as ‘The Junior School’ or the juniors. Quite which pupils were classed as Juniors and which not is impossible to establish from a century away. The people of the time knew who they meant so did not explain and, by the time anyone had realised that there might be confusion, it was too late! By the time the School had reached its site in Clapham, the school roll had risen substantially and adjustments to accommodation were made. The houses next door had been purchased to give more room but this was only a temporary respite given the ever-increasing roll. By 1918, bursting point had been reached and there was need for something more drastic. That something was the purchase of another site for the younger pupils and so, in 1918, we have the beginning of the Weybridge Years. 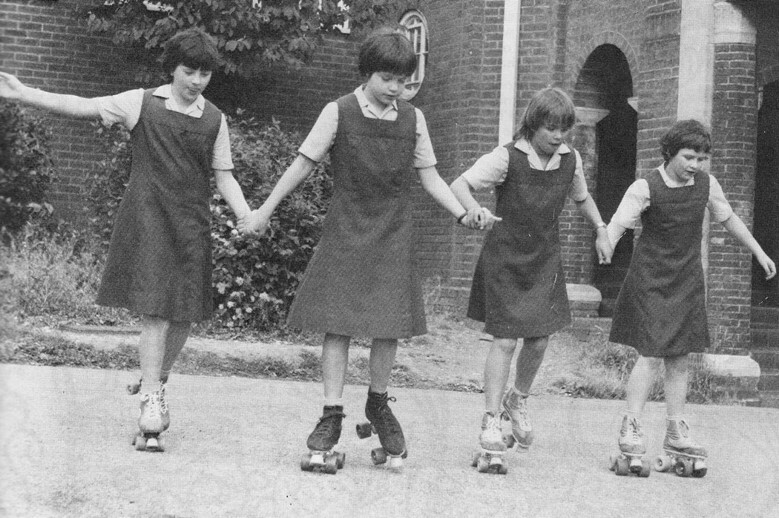 From 1918 to 1973, the younger pupils lived and were schooled in deepest, darkest Surrey and, inevitably, became known as the Weybridge girls. 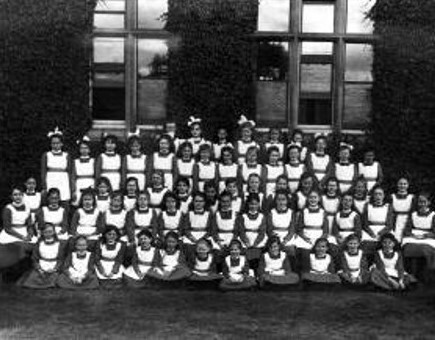 During WWII, when they were ‘evacuated’ back to the main school – by then in Hertfordshire – they were still known as Weybridge girls. New pupils who joined the school during these six or so years were often confused by this as they had never known the school anywhere else but in Ricky. For them, when the juniors returned to Weybridge post-war, this was a new place whereas for the old hands it was a coming home. 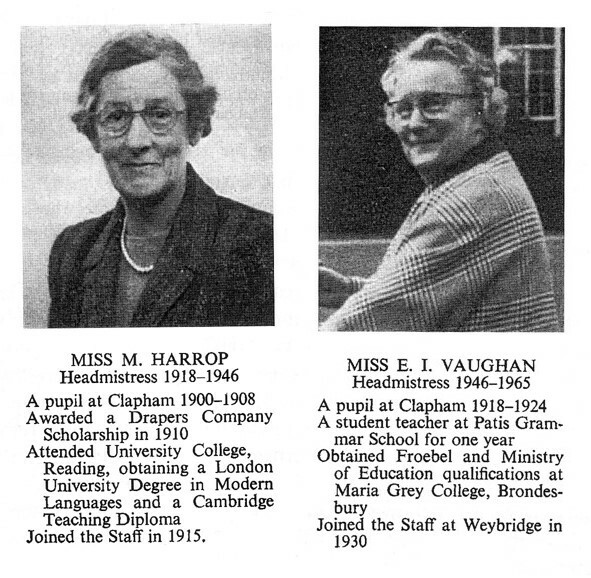 Above left: Miss Harrop who took the junior school to Weybridge, and kept its spirit alive during the war and (above right) Miss Vaughan, who took over post-war. And the gingko tree in the grounds, planted by Dr Roper-Spyers when he had founded the boys’ school originally there. 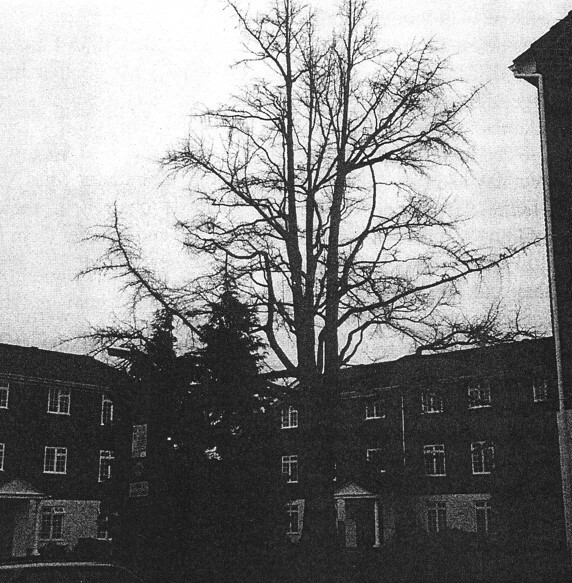 Although the school buildings have long gone, giving way to a housing estate, the tree is still to be found. A flavour of Weybridge life is shown in the cartoons below, drawn by a former pupil. The first captures the yawning middle-of-the-night fire drill, and the struggle into dressing gowns and coats and shoes, and resisting the temptation to snuggle back under the eiderdown. The second relates to the cry that went up in the evenings “Long Hessen Elli Bedders”. Not as you might imagine some kind of esoteric schoolgirl language, the Weybridge version of pig Latin. In fact, it was a straightforward request for those with long hair (who needed to have it washed and dried before bedtime – long hairs) and those younger pupils whose bedtime was earlier than the others (early bedders) to come and be accounted for. Hence, long hessen elli bedders. Simple really. 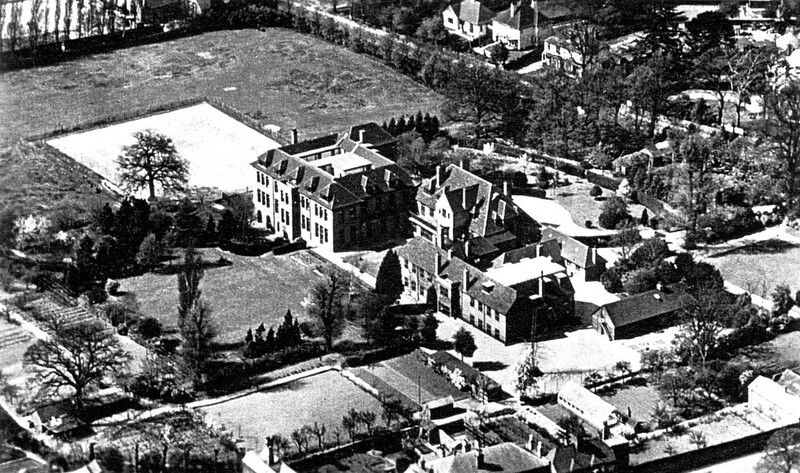 The junior school was at Weybridge until 1973 when, with great reluctance but in the face of falling numbers, the decision was taken to close the site and transfer all pupils to Rickmansworth, permanently. To begin with, they were dispersed amongst the various boarding houses and attached to ‘house mothers’ who were, in reality, prefects. They had their lessons separately and, for many, any sense of continuity was focused on the figures of the Miss Gambles, known affectionately as Big Miss Gamble and Little Miss Gamble – although neither was of particular great stature. The two ladies could be seen accompanying younger pupils after school too as they ventured around the grounds but of a ‘junior school’ there was little sign. Then, in 1980 David Curtis arrived as Headmaster and he reconvened the corporate body of the junior school by shuffling the boarding houses to provide a space for them. Not literally of course but certainly by name and purpose. Thus what was Ruspini house became Alexandra and Cumberland shuffled clockwise a couple of places; Atholl and Sussex became combined, reflecting the union between Ancient and Modern Freemasonry, led by the gentlemen of those names. 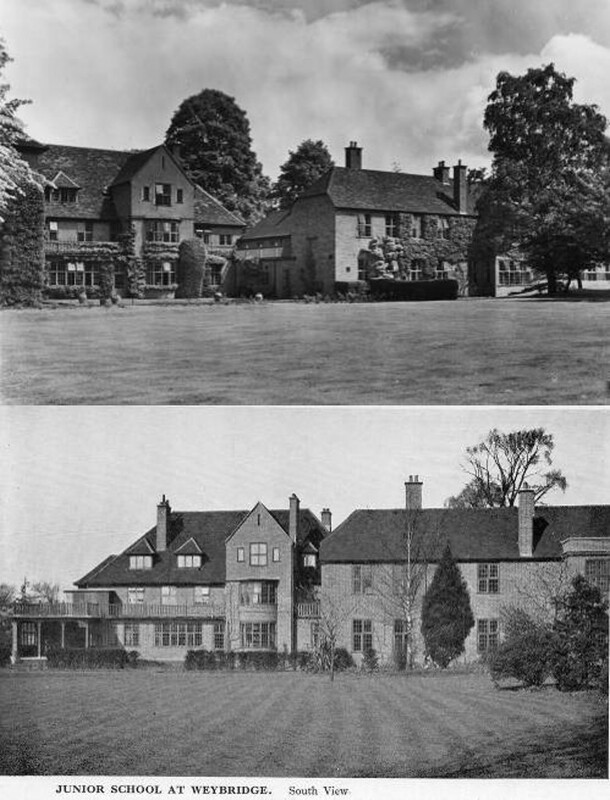 What had been Cumberland became the Junior School and Ruspini, having shot across the Garth, became their boarding house. If you are confused by all of this, you are not alone. It took a good while to get used to the new positions of existing names. The Bursar’s department, working on the basis that more changes might well happen in the future (they did, but not for a good while) referred to the houses as K1-K8 on the basis that the order would remain even if the names changed. No-one knows why they chose K.
The Js (as they were nicknamed) settled in their new homes and the Seniors eventually stopped grumbling about the changes. By the time of the Bicentenary (1988), few, if any, of the pupils could remember it being any different. Of course, former pupils remembered well their houses and even now, when Old Girls visit and ask to be shown their house, they are startled to be taken by a current pupil in a completely different direction than they had expected! 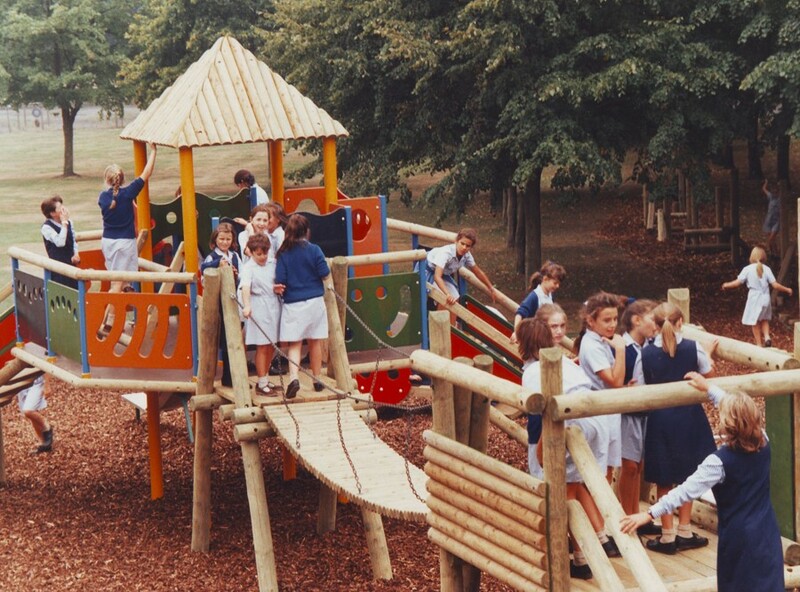 At the back of the House/Junior School, an adventure playground was installed in the 90s, a recognition that younger pupils needed something to get rid of excess energy during breaktimes! The Junior School remained in the Garth for the rest of the century although an expanding school roll again put pressure on the space. This was further exacerbated in 1994 when the starting age for pupils became rising five. The Junior School was renamed the Prep Department so that the very youngest pupils could be classed as the Pre-Prep. In 2009, another new venture introduced even younger pupils as a Pre-School opened with pupils aged 2+ (and some of them of a different gender). In order to avoid confusion with nomenclature (!! ), Ruspini House became the home of the teeny-tinies which left the Junior Boarding House without a name. The obvious choice was Weybridge. In the meantime, other changes had been made (no, don’t go there) which left a large building within the grounds unoccupied. It was refurbed, had an assembly hall added and in 2011 the Prep and Pre-Prep Departments moved lock, stock and barrel and became Cadogan House. 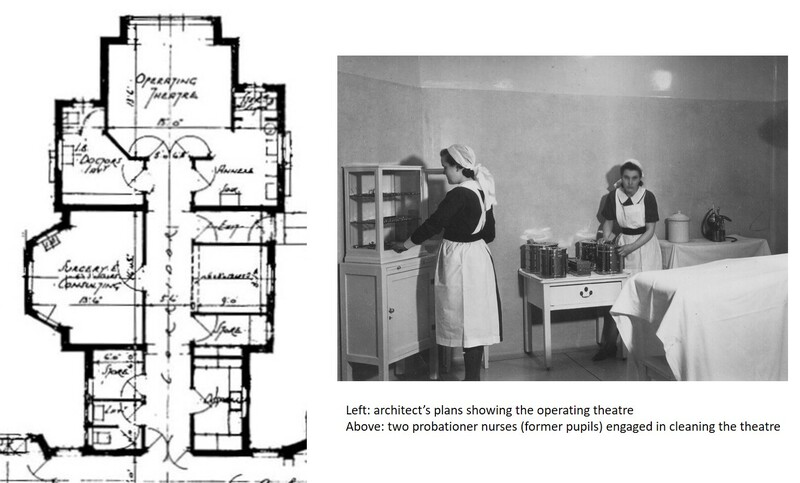 The creation of a combined Prep and Pre-Prep meant eliminating the final traces of the old operating theatre which had been a part of the building when it was the Sanatorium. It also meant leaving behind the adventure playground but, fear not! Another one was built. This historical overview of the younger pupils one hundred years after the founding of the school at Weybridge is brief. Much more can be seen on the School website rmsforgirls.org.uk but, as punctuation perhaps, here’s a fashion parade of little misses over the years. Parents up and down the country are this week experiencing for the first time that rite of passage known as ‘First Day at School’. Their little darlings, clad collectively in their brand new school uniforms, clutching – some apprehensively, some in fevered excitement – their school bags, are being deposited at school gates. It might be small steps for little legs but, paraphrasing Neil Armstrong, it is one small step for a child, one giant leap for parenthood. Parents watch in astonishment as their tinies take their first steps away from them and many of the tears shed are actually those of the parents who can’t quite believe that those helpless little babies who needed them for everything are the same people now skipping gaily across the playground. From a different perspective, there are probably a number of schools taking in pupils for the very first time this week, either because they are brand new schools or because they are taking younger children for the first time. For those establishments, it is also a time of trepidation. Will all the planning come to fruition? Will everything work as it should? Will the logistics all come together? It must have made an interesting spectacle for a (probably) grey January day. There must have been a goodly number of carriages. There were fifteen pupils, presumably the Matron (although she could have been waiting at the school to receive them – the records do not indicate), the gentlemen of the Committee and possibly some of the ladies and subscribers who appear to have witnessed the event. The actual route is unknown but it is likely to have passed the area where the National Gallery was later to stand (built 1824), along past the British Museum (built 1753 so it may have been a witness) and up to what is now Euston Road but what was then known as the New Road. The gentlemen of the committee retired to dine at St Alban’s Tavern but the new pupils stayed at the school. 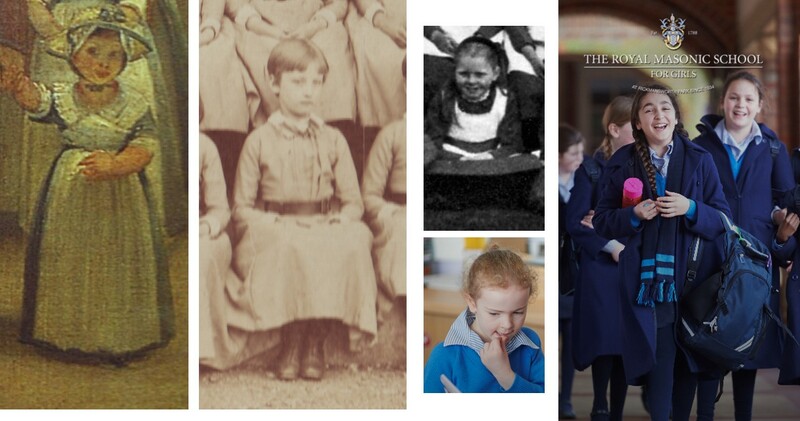 And unlike today’s mummies and daddies waiting at the school gates at home time to hear all about the experiences, these little girls remained in the school house until they were old enough to leave school aged 15. The School went on to have more First Days as it moved house three times. In 1795, it moved from its home in Somers Town to Southwark. It moved without any ceremony. In fact, the only reason any date is known is because the Minute Books of the Committee record that the meeting was held in ’the new School House’. 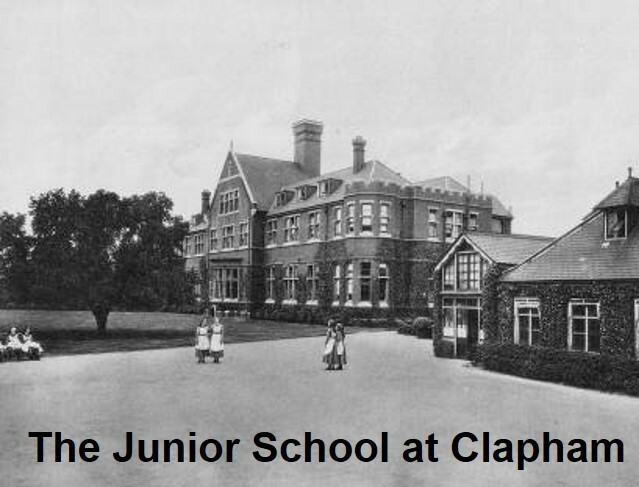 By 1852, the School had long outgrown its allocated space and so it moved again – to Clapham. This was accompanied by a little more pomp and ceremony. £400 was put aside “so that everything might be done with grace and splendour” (G Blizard Abbot, Royal Masonic Institute for Girls from 1788 to 1900) – the equivalent today of £16,500. On August 2nd, visitor numbers were estimated to be between 3000 – 4000. Amongst other ceremonial events, one of the pupils, Caroline Rhoda Davies, recited a poem especially composed for the occasion. Nine hundred dined and, as this was presided over by the Grand Master, it can be assumed that they were all Freemasons. There was also dancing in the grounds to a quadrille band and other military bands and the last visitors left shortly before midnight. And the pupils in all this celebration? Well, sadly, they were still at Southwark because they didn’t actually move until December 9th! For the next 80 or so years, the School remained on its third site with a variety of adjustments and expansions to accommodate the growing numbers. One of these adjustments was the Junior School disappearing into Surrey. In August 1918, the younger pupils had their next First Day when they moved to Weybridge. There were 45 pupils which included 20 pupils for whom this was same school, new site and fifteen for whom it was entirely a new school. But the Clapham site continued to be crowded and eventually it was realised that, not only was a bigger site required but that it was highly unlikely to be in London. In 1926, Rickmansworth Park was found. The new buildings were ready by 1934 and on March 24th 1934 the doors of Clapham were locked for the last time (the honour went to Eileen Hones, then the youngest member of staff) and staff and pupils went off for their Easter break. When they returned almost a month later, it was the First Day of all First Days and almost 400 pupils and all the teaching staff, domestic staff, ancillary staff and maintenance staff found themselves in grounds and buildings that were as yet unfamiliar. A pupil who was there at the time commented later on the way many staff and pupils kept getting lost. But then, as well as being a new set of buildings, it was also huge. The old school, including the playgrounds, would have fitted inside the Garth of the new one – and the Garth is approximately 1.5% of the total acreage! It is a tribute to the leadership of Bertha Dean (Headmistress) and Florence Mason (Matron) that it all went so smoothly. As a member of staff at the time commented: “We had moved house that was all: the meals were on time and the bath water was hot …” In June 1934, the site was officially opened by Queen Mary. 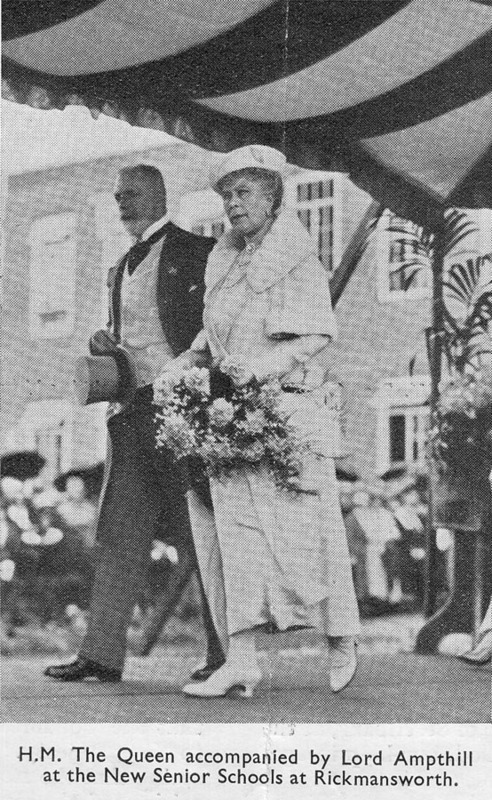 The weather, as it so often is in British summer time, threatened to be inclement (and it did rain earlier in the day) so the route to be taken by the Queen was considered. As the parquet floors were thought to have a risk of being slippery if wet, it was decided to lay a temporary rubber matting down over the very slight slope in the corridor between the Great Hall and the Dining Hall. Naturally, it was red in colour. And this temporary matting was still there fifty years later! The School has now been on this site for the greatest length of time it has been anywhere – 83 years and counting. In that time, not only has it seen 83 First Days – one for each year – but it has also seen younger and younger pupils having their own First Days. Each September, there are new pupils joining the School community and when you are a Newbie and it seems as if EVERYONE else knows exactly where they are going, it can be a little daunting. In recent years, a new style First Day has been trialled. 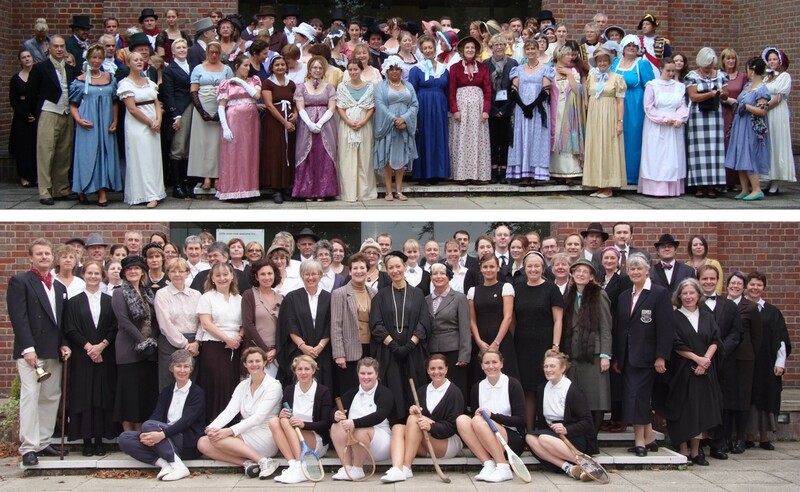 Known as Focus Days, the entire school participates in activities on a theme. As, then, it is a new experience for everyone, it has the effect of putting even the most bored teenager (hey ho, another year) on her mettle as she does not know quite what to expect. In the last decade or so there have been, to name but three, Chevalier Day (2013), Environmental Day (2012) and 1934 day (2009) as the School celebrated its being on the site for 75 years. Below are the staff on two of the Focus Days. These are First Days to remember. But then, whatever their format, your First Day at School is always important. Now places to obtain a machiatto, ristretto, leche y leche, dopio, chai latte or mochaccino (and other equally wonderful names encountered when one wishes to buy a coffee), the modern coffee house is just that: a house where one buys a coffee. In the 17th and 18th centuries, it was much more. ‘The Vertue of the COFFEE Drink. The history of the coffee house is a very rich one and makes fascinating reading. Try http://www.buildinghistory.org/primary/inns/coffee-houses.shtml, http://web.archive.org/web/20030213111215/http://home.att.net/~waeshael/coffee.htm and, of course, Wikipedia to learn more about them. 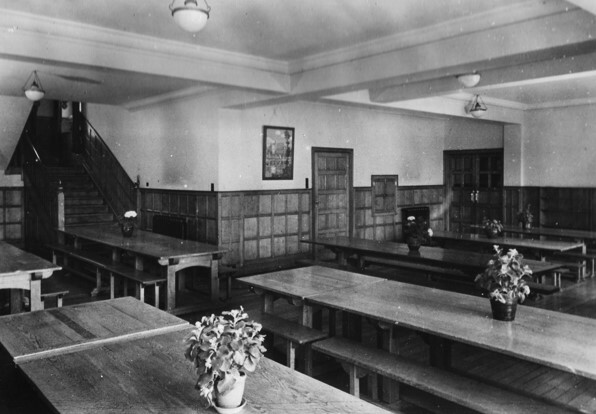 The connection of such coffee houses to the history of the School lies merely in their use as providers of meeting rooms before the School buildings were large enough to provide a suitable meeting space within. The earliest Minute Book records that the meetings of the Committee establishing the school took place in The Oxford Coffee House, in the Strand. They also used the Thatched House Tavern in St James, St Albans Tavern, in Pall Mall, and the Free Mason’s [sic] Tavern. There is some confusion about what happened to the tavern. One source indicates that it was pulled down in 1814 and another states that it was demolished in 1843 to make way for the Conservative Club. If this were the case – and there is disagreement about dates so there is an element of doubt – then it existed at 74 St James St. Wherever it was, the Thatched House Tavern was clearly in existence in 1788 as the next meeting for the Committee also took place there. Later in the same month (30th October 1788) they met at the Oxford Coffee House, Strand. This may simply have been from expediency as a few months’ later, the Thatched House was their meeting place again. However for the remaining meetings of 1788 and until a meeting in March 1789, the Oxford was the venue they used mostly. John Feltham’s The Picture of London for 1809 stated that the Oxford and Cambridge Coffee House in the Strand was ‘frequented by gentlemen belonging to the theatres and Somerset place.’ (https://books.google.co.uk/books) Coffee houses became associated with different groups of people: the literati favouring different ones from businessmen, for example. ‘As might be expected, Whigs and Tories patronised different coffee-houses, the Whigs choosing the St. James’ http://web.archive.org/web/20060619105023/http://home.att.net/~waeshael/coffee.htm The most famous example of a coffeehouse giving rise to particular group is the one run by Edward Lloyd in Tower Street in 1688, then in Lombard Street near to the Exchange, which gave rise to the Institution now known simply as Lloyd’s of London. The Committee meetings were convened several times in 1788 and 1789 at the Oxford coffeehouse in the Strand but it has been difficult to pin down any information about it other than the passing reference in Feltham’s book. It is possible that it traded under a different name and was simply known as the Oxford coffeehouse. It may well have been the British Coffeehouse at which a meeting was convened to form the Oxford and Cambridge Club in 1830 for those graduates of the Universities who were in London, or it may have been a coffeehouse that had begun in Oxford itself and then migrated to London. Wherever and whatever it was, meetings were held there and here such decisions were made as to the names of the first candidates as pupils and the appointment of the first Matron. In 1774, the premises of the Free Mason’s Tavern were occupied for a short time by Mary Robinson. Her own account says: ‘On our return to London after ten days’ absence, a house was hired in Great Queen Street, Lincoln’s Inn Fields. It was a large, old-fashioned mansion, and stood on the spot where the Freemasons’ Tavern has since been erected.’(3) (www.british-history.ac.uk.) The tavern was built in 1786 by William Tyler so one presumes that its being untenanted was due to its newness rather than any other cause. But the fact that it was in Great Queen Street will ring bells with those associated with the School. Not only is it where Grand Lodge is to be found but it is also the home of the organisation that formerly supported the School (1788-1978). Quite amazing the history behind such simple statements as where meetings were held! Time for refreshment, methinks. Mine’s a regular cappuccino please. 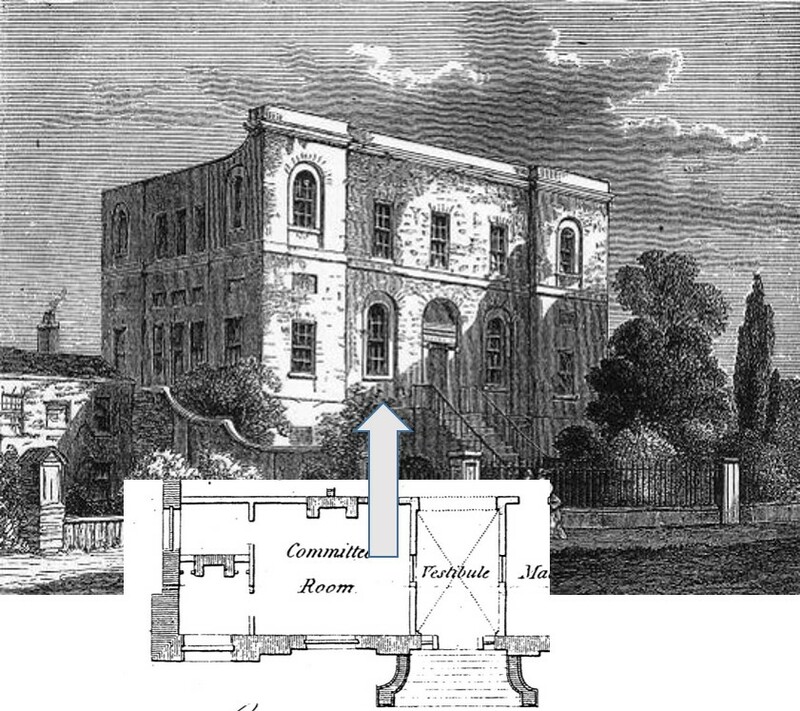 ‘Freemasons’ Hall’, in Survey of London: Volume 5, St Giles-in-The-Fields, Pt II, ed. W Edward Riley and Laurence Gomme (London, 1914), pp. 59-83 http://www.british-history.ac.uk/survey-london/vol5/pt2/pp59-83 [accessed 19 February 2016].